In today’s fluid, fast paced and competitive world – a mindset that delivers the highest probability of success is an undeniable asset. Limitless Minds offers experience-proven insight and training in what it takes to achieve big and go far. Unlike other ‘rah rah’ positive thinking speakers and firms, we don’t emphasize the magic of just thinking positive. We believe the mind is truly limitless and provide workable keys to unlock that potential. 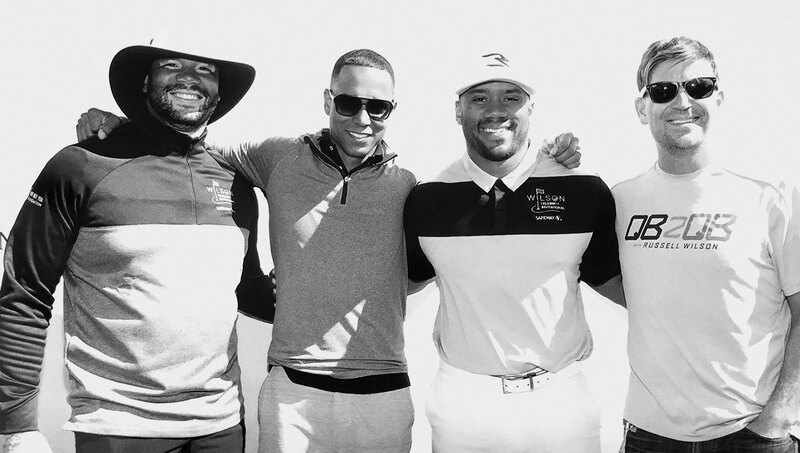 Founding partners Russell Wilson, Trevor Moawad, Harrison Wilson and DJ Eidson joined forces with the idea to bring competitive thinking, which had been battle tested in sports, to the corporate space. In 2011, Russell was told he had no shot at playing in the NFL. In 2012, he was named the starting QB for the Seattle Seahawks. In 2014 he won a Super Bowl. In 2017 he led the league in passing Touchdowns. He is now the winningest QB in NFL History through the first 6 years of a career. Critics and prognosticators stacked the odds against him; at 5’10” there was very little precedent for success in the league. However, his quest for a “Limitless Mind,” has proven to be his competitive advantage. Partnering with Trevor was a natural fit. With Seventeen Years of experience in the mental conditioning and sports psychology arena, Trevor has developed mindset training principles set into action by some of the World’s greatest athletes and prestigious performance institutes, motivating the motivated to improve performance. With over 25 years of professional influencing and leadership experience in the Biotech Industry, Harrison and DJ have been major players, and perennial award winners, at a variety of organizations where mindset was the difference between success and failure. Whether in sports or business they hope to inspire more people to achieve their goals. 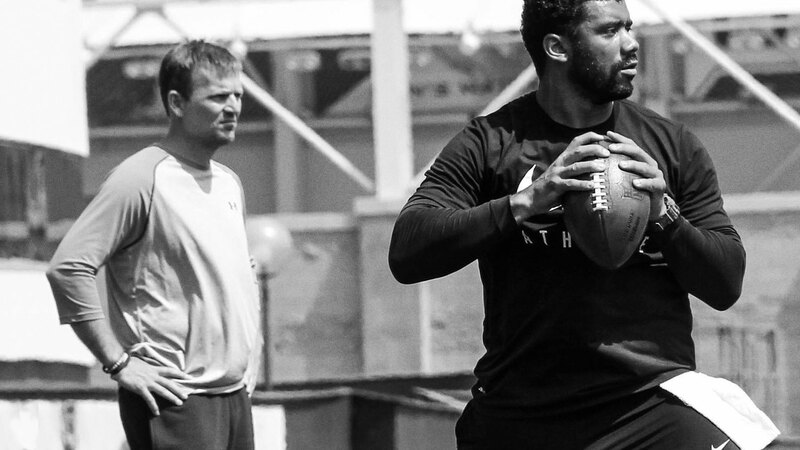 Seattle Seahawks and 6-time Pro Bowl Quarterback, Russell attributes much of his success to his ongoing commitment to mental conditioning with Trevor. Outside of football, Russell hosts ESPN’s QB2QB, is founder of Tally and a national spokesperson for several brands and organizations. Trevor Moawad is a renowned thought leader in mental conditioning for A-list professional athletes as well as top-tier football and basketball teams (Oklahoma City Thunder, Alabama Football, UGA Football, FSU Football, & UCLA). Sports Illustrated has coined Trevor as the best “Brain Trainer” in sports. Trevor appears consistently in the global media including ESPN, SI, Fox Sports, NPR, USA Today, The Herald Tribune, Outside the Lines and a number of national, regional and local outlets. After spending over twelve successful years in Biotech Industry and four years as a Division 1 athlete, Harry Wilson is responsible for corporate strategy and operations for Limitless Minds. Harry has held several sales specialty and training positions for Horizon, Victory and Stryker. DJ Eidson is responsible for business development, marketing and creative direction at Limitless Minds. DJ has over 18 years experience as a regional and national award-winning sales leader in the pharmaceutical industry. Prior to Limitless Minds, DJ developed his sales and leadership experience at Wyeth, Schering-Plough, Kowa and Horizon Pharma. ©2019 Limitless Minds, LLC. All Rights Reserved.